Running a Deal site is a very profitable online business because most of the time designers and developers put a lot of effort in searching good deals. And a Deal site can provide incredible offers and discounts to creative professions at one place. The deals must include products and services that are heavily discount, exclusively for premium customers. You can negotiate with the providers to ensure that you are providing the best deals for designers. Here comes the best CMS platform, WordPress which can help you to create any niche of website. If you are interested in running a deal site than Daily Deal theme is by far the easiest and cheapest way to accomplish this objective. It includes everything that a user would need while creating such a site. All you have to install the Daily Deal Theme from Templatic. Before giving you a visual tour and see what this theme has in store for you, see live examples of deal sites like Mighty deal and Design Shack. Mighty Deals is the best site in this area that requires no registration or membership fee. They recommend that their visitors can sign up for the free newsletter as these deals are available for a very short time. Design Shack showcases inspiring web design, alongside resources and tutorials for you to succeed in the same way. They only offer the cream of great design, filtering through lots of the redesigns that occur every day across the Internet, and cataloging the greatest projects out there – perfect for getting that spark of creativity going again. 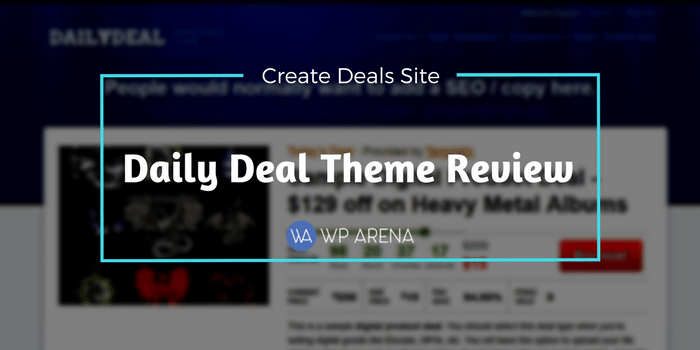 You can build a complete deals site in just a few hours using nothing but the all-powerful WordPress and Daily Deal theme. Running a Deal site is a new concept, and you can create a beautiful design and focus on the content – the deals with this theme. Daily Deal is a complete theme with built in functionality for submitting, approving, displaying and buying deals. The homepage is finalized after many iterations. 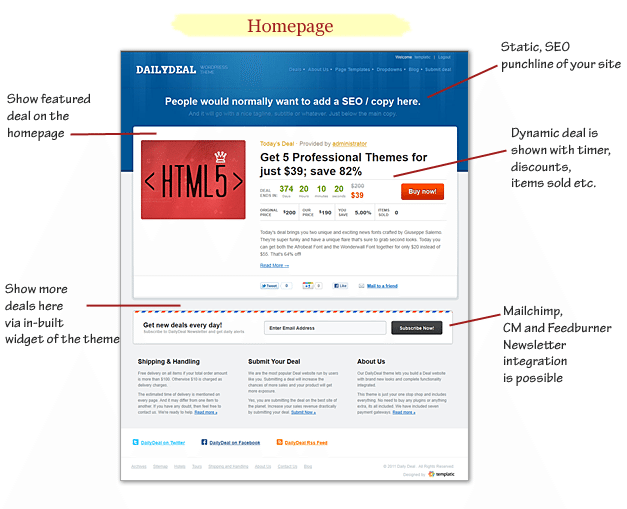 When it comes to sites like this the deals should be the center of attention- templatic team did just that. 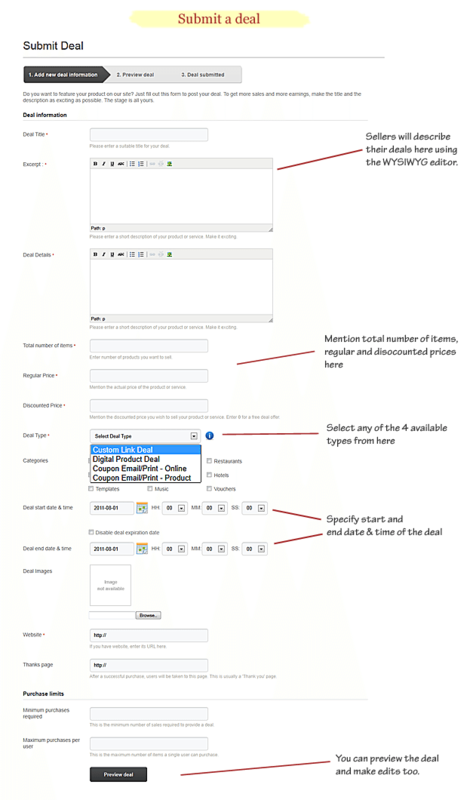 The homepage displays how much time is left to grab the deal, product details, sharing buttons and the Buy Now button. Visitors can just click on the “Buy Now” button and buy the deal. An account is automatically created, and username and password are sent to the email address. 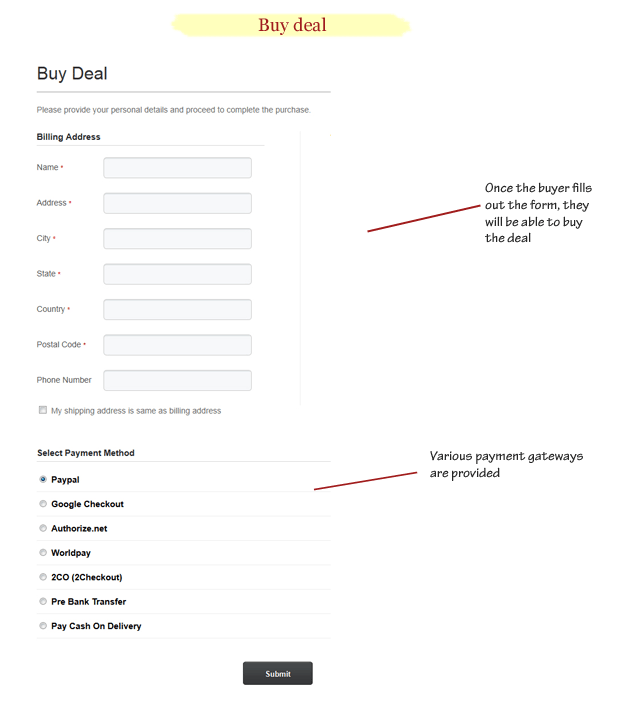 The homepage by default lists only one deal, but if you want, you can also list more deals. To do that just add a new widget to that area. The listing page displays all the deals from that particular category. Three tabs are displayed – All deals, live deals and expired deals. Just like the names suggest, “All deals” will display all created deals, “Live deals” will display active deals and “Expired Deals” will display finished, expired deals. Using the sidebar users can search for a particular deal. Below the Search, there are regular widgets like Member Dashboard, categories, subscribe, etc. Just like with any (Templatic) WordPress theme – sidebar is all yours to experiment with. Those who want to submit deals can just click on the “Submit deal” link. 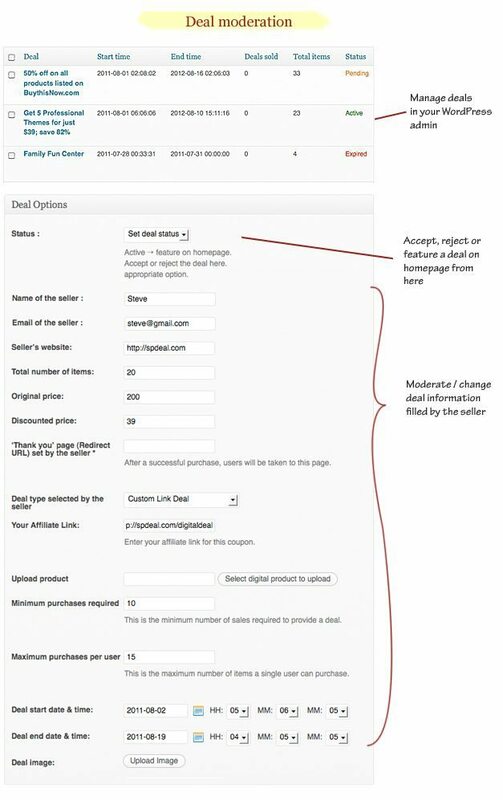 A form is provided where users can fill out all the information about the product and submit their proposal for the deal. If the admin finds that deal impressive, he can activate the deal and only then it will be visible in the front-end. After submitting the deal, an account will be automatically created and login details will be sent to that user’s email address.